Select Print Size: 9.75" x 11.625" 13.0" x 15.5"
"I was walking through a parking lot one day and stepped over a leaf that had been reduced to just the veins and stem because of constant human and vehicle traffic. I wondered how many people had walked on it to get it to that state. It takes approximately 3,576 steps for a person's foot to tear apart a leaf. My foot destroyed this leaf, then it was brought back to life in watercolor and colored pencil. 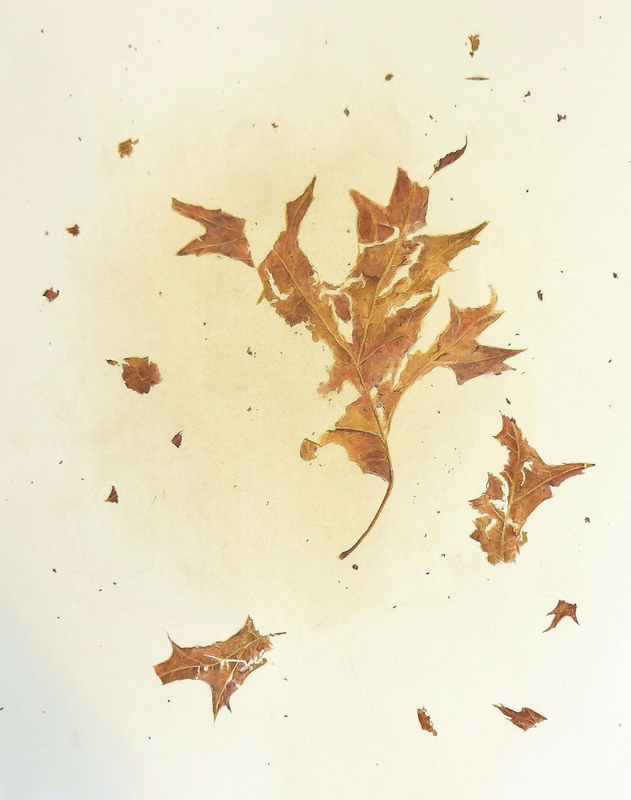 The dirt from my shoe has been pressed into the paper as I crushed the leaf and has created a subtle background."